The executives named below won honorable mention in the 2015 CPE Executives of the Year Awards program. They were selected by confidential vote of the CPE 100, a group of industry leaders. 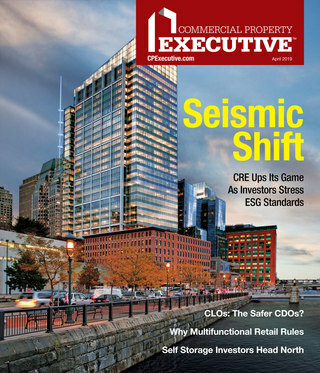 To learn about this year’s first-place winners, read the December issue of CPE. CEO since: Founding Greystar in 1993. Previously: Co-founded Starwood Capital L.P. in 1991. Started real estate career with Trammell Crow Co. Highly ranked: No. 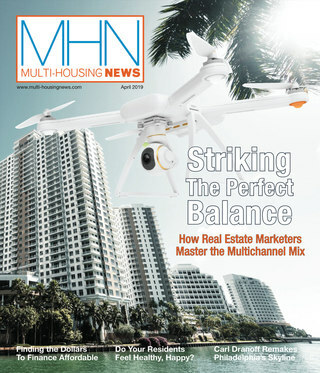 1 on National Multi Housing Council’s annual list of multifamily managers, eighth-largest developer and 29th largest manager. Also ranked eighth among private equity real estate companies by PERE. By the numbers: 400,000 units under management, $3.2 billion development pipeline, owned portfolio valued at $12 billion. London calling: In a $900 million deal that closed in April, Greystar acquired three high-end student housing properties from Nido London S.à r.l. Public works: Faith served as South Carolina’s secretary of commerce from December 2002 to February 2006 while continuing to run Greystar. By the numbers: $59 billion in assets under management (TIAA-CREF), plus $30 billion in assets under management by TH Real Estate, a wholly-owned London-based subsidiary and leading global investment manager specializing in real estate equity and debt. Global Vision: Last year, Garbutt oversaw the creation of TIAA Henderson Global Real Estate, a London-based joint venture formed with Henderson Group plc. The venture’s stated mission is to pursue both core and value-add investment opportunities across a wide variety of real estate product types. Teamwork: In August, TIAA-CREF formed a joint venture with Swedish National Pension Funds AP1 and AP2 to create a European office investment platform initially valued at $2.5 billion. TH Real Estate brought the parties together and will manage the vehicle. Big deals: In September, TIAA-CREF and Norges Bank Investment Management paid $307 million for 888 Brannan St. in San Francisco’s South of Market district. The building serves as AirBub’s corporate headquarters. Bought Biogen’s global headquarters in Cambridge, Mass., from Alexandria Real Estate Equities for $190 million. Sold a 49 percent stake in properties and two land parcels to Allianz Real Estate of America for $375 million. Jeff Blau, CEO, Related Cos.
Building blocks: Related has undertaken the massive project of developing the new Hudson Yards center on the west side of Manhattan with its partner, Oxford Properties. Considered the largest private real estate development in the New York City since Rockefeller Center, Hudson Yards will encompass more than 17 million square feet of commercial and residential space, including more than 100 retail units, approximately 5,000 residences, 14 acres of public space, a 750-seat public school and a 200-room luxury hotel. Honors: Crain’s New York New Influentials list of 25 leaders reshaping New York, Metropolitan Museum of Art Real Estate Council Honoree, American ORT Real Estate & Construction Industry Chapter Community Achievement Award, New York Housing Conference’s Distinguished Housing Development Award. Daniel Queenan, CEO, Trammell Crow Co. Previous company: Opus North Corp.
By the numbers: $60 billion portfolio encompassing some 2,600 buildings and more than 540 million square feet. Professional affiliations: Trammell Crow Company Executive Committee, CBRE Global Operating Committee, CBRE Americas Operations Management Board, Marquette University Business School CRE Advisory Board, former president of National Association of Industrial and Office Properties, Chicago chapter. 2015 Triumphs: LEED Gold Certification and Environmental Star of Excellence for Legacy Tower in Plano, Texas; Urban Land Institute Global Award for Excellence for Denver Union Station in Denver, Colo.; NAIOP Commercial Real Estate Development Association E-Commerce Project of the Year for I-215 Logistics Center, Amazon’s 1.25 million square foot logistics center; Los Angeles Business Journal’s 2015 Industrial Building of the Year for CleanTech Manufacturing Center in Los Angeles, Calif.
Ed Padilla, CEO of NorthMarq Capital and NorthMarq Cos.
CEO since: 2000; appointed CEO of NorthMarq Cos., the commercial real estate services affiliate of Pohlad Cos., in 2012. By the numbers: Nation’s largest private commercial CRE intermediary; $13 billion in annual production, translating to a $45 billion loan portfolio. Growing family: In April, acquired AmeriSphere Multifamily Finance, a Fannie Mae DUS and FHA MAP lender in which NorthMarq previously owned a 40 percent stake. Rebranded NorthMarq Capital Finance, the acquisition strengthens the company’s Fannie Mae and FHA capabilities and adds offices in Omaha, Washington, D.C., Dallas and Denver. Serving the community: Padilla is chairman of the board of CommonBond Communities, the Midwest’s largest developer of affordable housing with services, which has developed affordable apartments and townhomes in 50 cities in Minnesota, Iowa and Wisconsin. Willy Walker, Chairman & CEO, Walker & Dunlop Inc.
With company since: 2003; appointed president in 2005. Three-peat: Company named the top Fannie Mae DUS lender by volume for the third consecutive year in 2014. Record-setter: A $670 million package of senior housing loans secured by a 52-property portfolio owned by New Senior Investment Group Inc. was the largest deal in the firm’s history. Going up: Through Sept. 30, revenues increased 40 percent year over year to $346.8 million. Big deal: A 28-loan, $465 million origination secured by independent living properties that New Senior Investment Group Inc. purchased from affiliates of Holiday Retirement. New territory: In April, Walker & Dunlop announced that it had acquired a controlling interest in the investment sales platform of Engler Financial Group, LLC; the investment advisory and brokerage firm specialized in multifamily properties in the southeastern United States. Renamed Walker & Dunlop Investment Sales, the affiliate is tasked with expanding the platform nationally. Eclectic experiences: Prior to joining the company founded by his grandfather in 1937, Walker served as president of the European and Latin American divisions of TeleTech, a global business process outsourcing company. He also worked at Newbridge Latin America, a private equity firm, and served as general manager of a regional airline start-up in Argentina. Previous stop: Joe A. McDermott Real Estate Corp.
Nice work: Named by Fortune as one of the top 100 places to work for women as well as one of the 100 best workplaces for Millennials. Texas Monthly ranked Transwestern No. 5 on the list of the best places to work in the Lone Star State. Shaping the skyline: Transwestern is teaming with TIAA-CREF on of BHP Billiton Tower, a 30-story, 600,000-square-foot trophy tower in Houston’s Galleria submarket scheduled for completion in 2016. Previous positions at JLL: CEO, Market Solutions; CEO, Brokerage. Past history: Served as CEO of the Staubach Co. before its acquisition by JLL in 2008. By the numbers: As of the third quarter, fee revenue for the Americas region was up 15 percent year-over-year to $791 million. Wider footprint: As of Nov. 2, JLL had completed 15 margin-accretive transactions collectively valued at more than $420 million. Most recently, the company closed on the acquisition of Oak Grove Commercial Mortgage, LLC, a St. Paul, Minn.-based mortgage banking company specializing in Fannie Mae, Freddie Mac and HUD/GNMA transactions. CEO since: Founding company in 2007. Tri-state titan: RXR’s $12 billion portfolio in the New York City tri-state region comprises 88 properties and investments totaling 23.3 million square feet, plus a 3,000-unit residential development pipeline. Trophy time: Bought 230 Park Ave., a 1.4 million-square-foot Midtown Manhattan trophy tower for $1.2 billion from a joint venture of Monday Properties and Invesco. In the pipeline: A $197 million residential/retail project in Yonkers, N.Y. Joint venture with Rising Development. Teaming with Renaissance Downtowns to oversee redevelopment program in New Rochelle, N.Y.
Epic deal: Orchestrated the $6.5 billion sale of Reckson Associates Realty Corp. to SL Green Realty Corp. in 2007. Public service: Vice Chairman of the Port Authority of New York and New Jersey’s Board of Commissioners; appointed Gov. Andrew Cuomo in 2011. As Chairman of the Port Authority’s Capital Planning Committee, oversees the Port Authority’s $30 billion capital budget, including the World Trade Center redevelopment. Represents Governor Cuomo on the board of the National September 11 Memorial & Museum at the World Trade Center Foundation, Inc.
Conor Flynn, President & Chief Operating Officer, Kimco Realty Corp.
Headquarters: New Hyde Park, N.Y.
Moving up: Flynn, who has served as Kimco’s president since August 2014, will become CEO on Jan. 1, 2016. He will succeed David Henry, who is retiring. Previous service: President of Kimco’s western region. Joined company as an asset manager in 2003. Flying solo: On Flynn’s watch, Kimco consolidated ownership in core U.S. retail properties, buying out partner interests in 56 properties, including 39 that were owned in a joint venture with the Blackstone Group. Kimco now derives 78% of NOI from wholly-owned properties. Makeover plans: Established a $1.1 billion redevelopment pipeline. Year-to-date project returns yielded more than 12 percent return on investment. Green ideas: Named to the Dow Jones Sustainability North America Index, the CDP Carbon Disclosure Leadership Index, and awarded the GRESB Green Star. On track to complete 100 LED lighting retrofits through Illumi-Nation program by the end of the year. CEO since: January 2015, when Washington Prime Group completed the acquisition of Glimcher Realty Trust. Previously served for a decade as Glimcher’s CEO. Company at a glance: New York Stock Exchange-listed REIT that owns and manages a diversified portfolio of 121 shopping centers totaling more than 69 million square feet. Fresh capital: In June WP Glimcher completed a joint venture with an affiliate of O’Connor Capital Partners, a New York City-based private investment management firm. From that transaction the company realized $430 million in proceeds and reduced its debt by $800 million. Above and beyond: Serves as a trustee of the Arizona State University Foundation and the Wexner Center for the Arts. Glimcher is also a member of the Columbus Partnership and the Governing Committee of The Columbus Foundation. CEO since: 2012. Ansel began her career with Gables in 1987 with its IPO as predecessor firm Trammell Crow Residential. By the numbers: Gables manages about 31,500 apartment units and 500,000 square feet of retail. Highlight of 2015: The recapitalization of the company through its acquisition in February by a Clarion Partners-led group of investors. Goals for 2016: Execute on current stabilized and development platforms, grow presence in expansion markets, and identify new opportunities for accretive investments. Board positions: Executive Committee Member and Treasurer, National Multifamily Housing Council; Chairwoman of the Board, Real Estate Council, Dallas; The Dallas Summer Musical Board of Directors; DePauw University Board of Trustees. CEO Since: Founding the company in 1998. By the numbers: 14 million-square-foot industrial development pipeline in the United States, Canada and Europe. Texas-sized projects: In January, debuted largest non-terminal building built to date at DFW International Airport, the 1.1 million-square foot Logistics Center I. Elsewhere in the Dallas Metroplex, Detailed plans to develop Alliance Northport, a 260-acre office and industrial park on Interstate 35W near State Highway 114. Big blueprints: Teamed up with Dermody Properties to develop an 898,560-square-foot facility for Wayfair Inc. in the Cincinnati suburb of Erlanger, Ky.; announced plans to develop Trade Center-83, 1.2 million-square-foot distribution center in York County, Pa. Crossing the big pond: Embarked on second joint venture with LogProject Development GmbH to build a 333,681-square-foot logistics project in Düsseldorf. Atlanta-area action: Teamed up with Ridgeline Property Group to develop Braselton Commerce Center, a 1.1 million-square-foot distribution facility in Atlanta’s I-85/Northeast submarket. Acquired Westridge Logistics Center, 320,000-square-foot distribution facility in McDonough, Ga.
Chief executive overachiever: Served as a fighter pilot in the U.S. Air Force for eight years; co-founded Perot Systems Corp.; served as chairman from 2004-2009 and CEO from 2000-2004. Len O’Donnell, CEO, USAA Real Estate Co. Previously: President & CEO, Crimson Capital Ltd. and principal of Crimson Real Estate Fund. New partner: Completed first joint venture with Chicago-based Waterman, acquiring two vintage office buildings in Midtown Manhattan. Teamed up with GlenStar Properties to buy Energy Square, a three-building, 958,445-square-foot office complex in Dallas. Fresh funds: Recapitalized a 14 million-square-foot industrial portfolio consisting of 25 bulk distribution facilities in 11 states. Mark Hoplamazian, President, CEO & Director, Hyatt Corp. Previous company: The Pritzker Organization; Hoplamazian served as adviser to Hyatt before appointment as President & CEO. Board memberships: Advisory Board of Facing History and Ourselves, Council on the University of Chicago Booth School of Business, Executive Committee of the Board of Directors of World Business Chicago, Board of Trustees of the Aspen Institute, Board of Trustees of the Latin School of Chicago; member of the World Travel & Tourism Council, Commercial Club of Chicago and Discovery Class of the Henry Crown Fellowship. Adam Aron, Interim CEO, Starwood Hotels & Resorts Worldwide Inc. Stepping up: A nine-year member of Starwood Hotels’ board of directors, Aron was appointed interim CEO in February 2015 after the resignation of Frits van Paasschen. Watershed deal: On Nov. 16, Marriott International announced plans to acquire Starwood Hotels for $12.2 billion. The merger would create the world’s largest hospitality company. More major moves: In a $1.5 billion deal announced Oct. 28, Interval Leisure Group will acquire Vistana Signature Experiences, Starwood Hotels’ vacation ownership business. In the pipeline: 510 hotels representing 113,000 guest rooms as of Sept. 30. During the third quarter, company signed management and franchise contracts for 44 properties, including 32 new builds and 12 conversions. Flying the flag: In September, Aron announced a $100 million marketing campaign for Sheraton Hotels & Resorts, its flagship brand. Current positions: Senior Operating Partner, Apollo Management L.P.; CEO, World Leisure Partners Inc.; Director, Norwegian Cruise Line Holdings. Track record: CEO, Philadelphia 76ers; Chairman & CEO, Vail Resorts, Inc.; President & CEO, Norwegian Cruise Line; Senior Vice President of Marketing, United Airlines; Senior Vice President of Marketing, Hyatt Hotels Corp.